Kawaii cute illustration of a chemistry science joke. 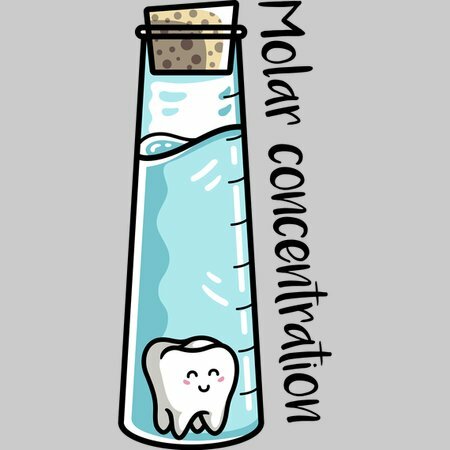 The concentration of a solute in a solution is measured by the number of moles per litre - the "molar concentration". 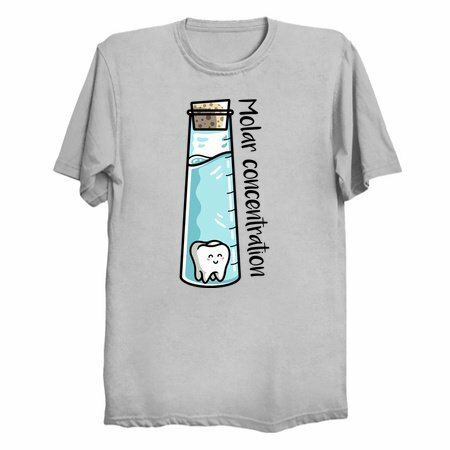 I've represented it as a molar tooth in a cork stoppered vessel of liquid.